After spending four years playing squash full-time Chris was introduced to Real Tennis at the Australian Open Doubles Final in May 2007. After a number of ‘hits’ with the Royal Melbourne Tennis Club professionals Chris was offered a job and started at RMTC in September 2007. Chris travelled to the 2008 and 2009 under-24’s at Middlesex University, reaching the semi-finals in 2009. Chris applied for the Trainee Professional vacancy at RTC at the beginning of 2010, and headed to London on July 18th 2010 to take up the position. 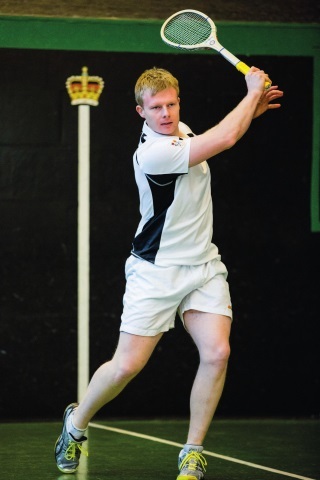 The 2010-11 season was Chris’s first on the real tennis pro circuit, and he got as far as the quarter-finals in four of the seven events: the British, Australian and US Opens, and the Schochet Cup (US Professional singles). Chris’s goal, with the help of the RTC pro team, is to qualify for the World Championship eliminators in the next few seasons.